CV2JOBS is one of the world’s leading recruitment, training & consulting business advisory which assists valuable placements to all everyone globally. Founded in 2011, CV2JOBS is a motivated group of Professionals who are committed to delivering targeted training, recruitment & Consulting to various companies and individuals. Capacity to serve all levels of Management through a team of Professional trainers / facilitators Contribution being recognized by Corporate and Campus World. CV2JOBS provides a range of management services to a local, regional, national and global clientele. The firm has served professional firms of all sizes. Since its inception, CV2JOBS has focused on enhancing the productivity and profitability of its clients. We serve as an extension of each client's management group, providing opportunities to recognize trends and set direction that will lead to the attainment of each firm's respective goals and the on-going achievement of targeted results. CV2JOBS work closely with each firm's principal(s) and key employees to learn about their respective internal operating systems. Through this process we are able to develop a customized approach, develop innovative solutions, make recommendations for improvement and offer assistance with, or take full responsibility for the implementation of each activity. 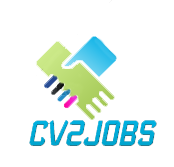 CV2JOBS is available to assist its client's in their operational, manpower recruitment, financial, outsourcing, consulting and project management needs. Sustained corporate leadership, managerial competency development personal effectiveness and career preparation programs at many engineering & management Institutes. Train the trainer faculty development programs at institutes. CV2JOBS plays the role of a problem solver, we understand the organizational need before we devise and suggest a plan/solution. We as an organization strive to offer the right Human Resource Solutions at the right time and enable our clients to enhance the net worth of their human resource capital. 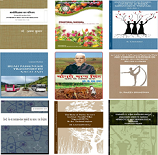 © 2008 IsaraSolutions.com . All Rights Reserved.